MyOctopus Voltage Level Translator - Transform Data Signals Between two Different Voltage levels. MyOctopus Voltage Translator is a Logic Function Voltage Level Translator which transforms data signals between two different Voltage levels. This helps to automatically integrate hardware for data streaming. 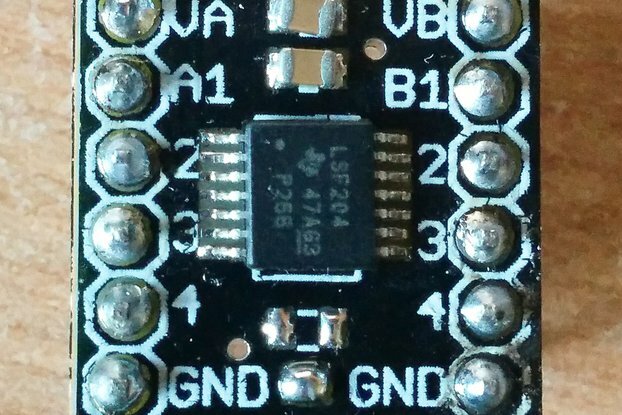 On one voltage side level you can connect a micro-controller, computer-on-module or development board (Arduino, Edison, Beaglebone, Pi etc), on the other, you can connect sensors, shifters, uCs, breakout boards, and switches on other voltage levels. 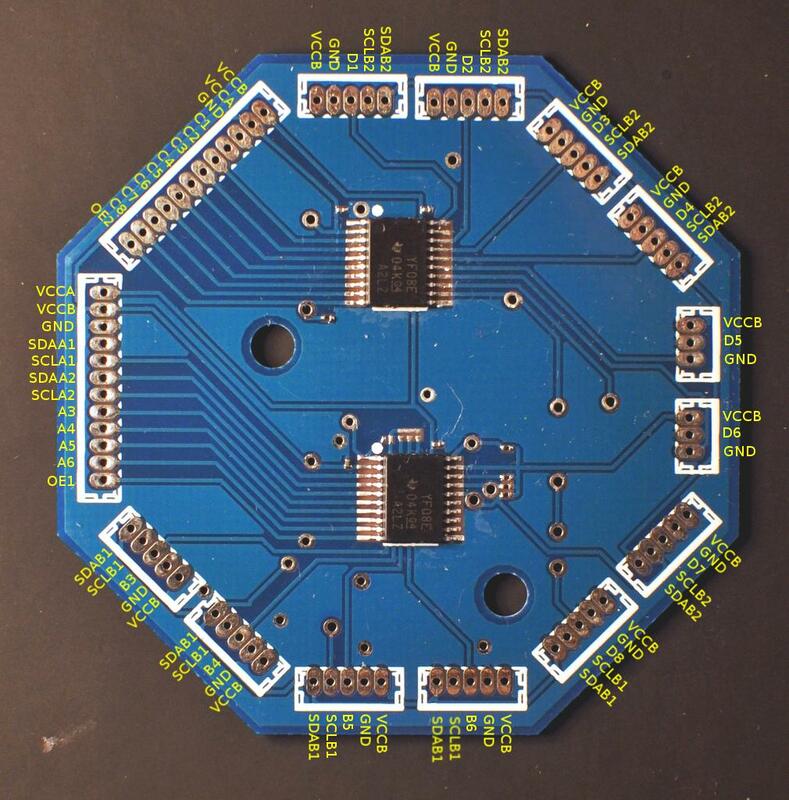 This is a custom board created for our MyOctopus Smart Home platform. We created it for voltage translation, for auto detection of signal types while we were building our MyOctopus fully open source Smart-home platform. 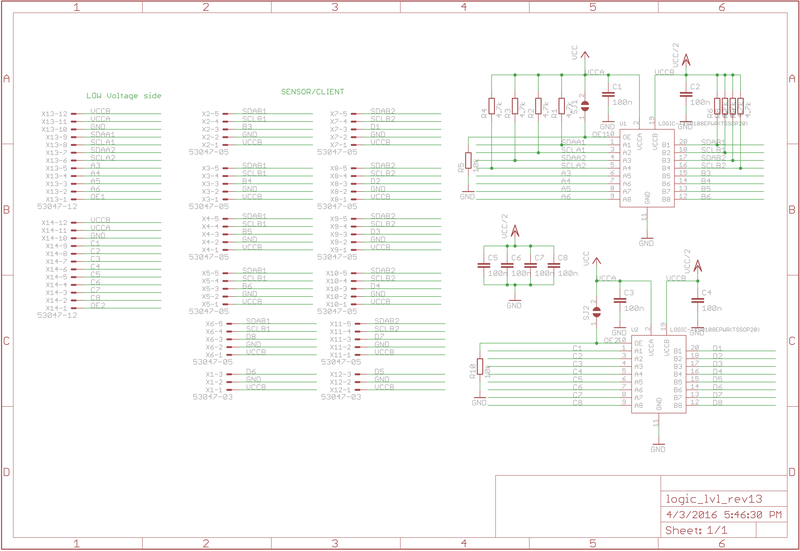 Is designed to connect two I2C and 12 other data signals. It has 5 integrated sockets for one BUS. If you are connecting sensors the INTERUPT/ALERT/IO pin can be used to communicate with your system. The TXS0108E device is a direction-less voltage-level translator specifically designed for translating logic voltage levels. 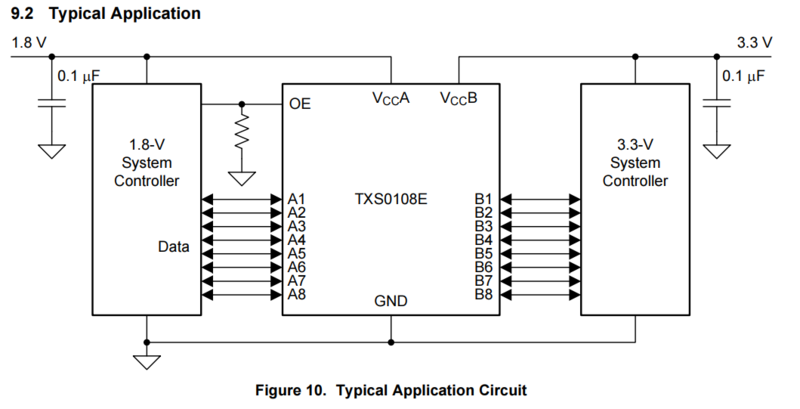 The A-port accepts I/O voltages ranging from 1.2 V to 3.6 V. The B-port accepts I/O voltages from 1.65 V to 5.5 V. The device uses pass gate architecture with edge rate accelerators (one shots) to improve the overall data rate. The pull-up resistors, commonly used in open-drain applications, have been conveniently integrated so that an external resistor is not needed. While this device is designed for open-drain applications, the device can also translate push-pull CMOS logic outputs. 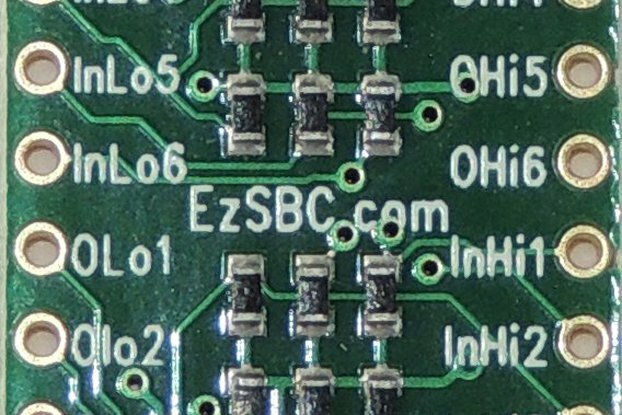 The TXS0108E has an OE pin input that is used to disable the device by setting the OE pin low, which places all I/Os in the Hi-Z state. The disable time indicates the delay between the time when the OE pin goes low and when the outputs actually get disabled (Hi-Z). The enable time indicates the amount of time the design must allow for the one-shot circuitry to become operational after the OE pin goes high. The TXS0108E has the smart pull-up resistors dynamically change value based on whether a low or a high is being passed through the I/O line. Each A-port I/O has a pull-up resistor (RPUA) to VCCA and each B-port I/O has a pull-up resistor (RPUB) to VCCB. RPUA and RPUB have a value of 40 kΩ when the output is driving low. RPUA and RPUB have a value of 4 kΩ when the output is driving high. RPUA and RPUB are disabled when OE = Low. 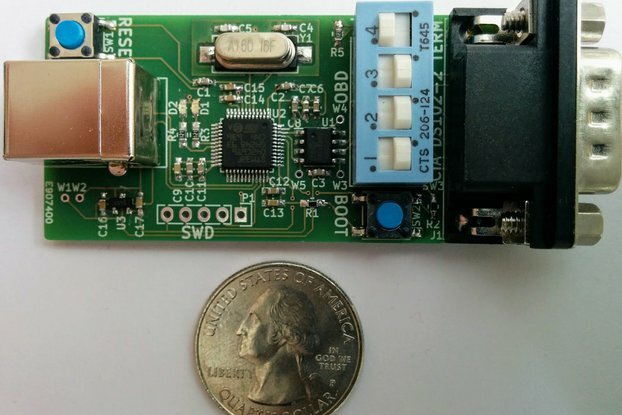 This feature provides lower static power consumption (when the I/Os are passing a low), and supports lower VOL values for the same size pass-gate transistor, and helps improve simultaneous switching performance.